We write to invite you to take action to support Egypt's political prisoners, and to defend Greece against an odious and unfair debt burden. On Saturday, June 20th there will be a rally at 1pm in Manhattan in solidarity with Egyptian political prisoners, at Union Square (south side). The rally is part of an international initiative against repression in Egypt called by the Middle East North Africa (MENA) Solidarity Network-US in collaboration with the Egyptian Solidarity Initiative in London, working with activists in Egypt. For further information, check the event's Facebook page. You can see a display showing many of the Egyptian prisoners like Sanaa Seif on the Egyptian Solidarity Initiative's Facebook timeline . To the people of Europe and the whole world! To all the men and women who reject the politics of austerity and are not willing to pay a public debt which is strangling us and which was agreed to behind our backs and against our interests. We signatories to this appeal stand by the Greek people who, through their vote at the election of 25th January 2015, became the first population in Europe and in the Northern hemisphere to have rejected the politics of austerity imposed to pay an alleged public debt which was negotiated by those on top without the people and against the people. At the same time we consider that the setting up of the Greek Public Debt Truth Commission at the initiative of the president of the Greek Parliament constitutes a historic event, of crucial importance not only for the Greek people but also for the people of Europe and the whole world! "What happened to the money that made up this loan? What were the conditions attached to it? How much interest has been paid, at what rate? How much capital has been repaid? 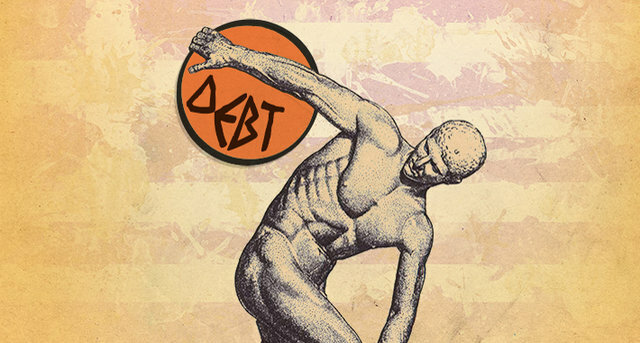 How was the debt allowed to accumulate without benefiting the people? Where did the capital go? What was it used for? How much was diverted, by whom, and how was this done? We consider that it is the most basic democratic right of every citizen to demand clear and precise answers to these questions. We also consider that refusal to reply constitutes a denial of democracy and transparency on the part of those at the top who invented and use the”debt-system" to make the rich richer and the poor poorer. And even worse: we consider that by jealously keeping for themselves the monopoly right to decide the fate of society, those at the top deprive the overwhelming majority of citizens not only of their right to make decisions but above all of the right to take their destiny and the fate of humanity into their hands! This is why we are launching the following urgent appeal to all citizens, social movements, ecological and feminist networks and movements, trade unions and political organizations that reject this ever less democratic and humane neo-liberal Europe: Show your solidarity with the Greek resistance by supporting in action the Greek Public Debt Truth Commission and its work in identifying that part of the Greek public debt which is illegal, illegitimate, odious and/or unsustainable. Defend it against the outrageous attacks it has been subjected to from all those forces in Greece and the rest of the world who have an interest in keeping the truth about the “debt-system” hidden from view. Actively take part in the citizen debt audits that are being developed throughout Europe and elsewhere. Share your support and solidarity on your social networks, since this support and international solidarity is the only way to thwart the ruling powers’ plan to suffocate Greece and the people who are fighting against our common enemy: the politics of austerity and the debt that is strangling us! We are confronted by an experienced adversary, united, well-coordinated, armed with extraordinary powers and absolutely determined to pursue its offensive against every one of us to the bitter end: we who constitute the overwhelming majority of our societies. We cannot allow ourselves the luxury of resisting separately, each in his own corner. So let us unite our forces in a vast movement of solidarity with the Greek resistance and support for the Truth Commission of the Greek Parliament, multiplying such debt audit commissions everywhere where that is possible. Because the struggle of the Greek people is our struggle and their victory will be our victory. Our unity is our only strength. United we stand; divided we fall! (Follow the link, then click SIGN APPEAL on the upper right corner of the screen. 6. Frei Betto, writer, political activist, liberation theologist, Brazil. 7. Leonardo Boff, theologist and writer, Professor Emeritus of Ethics, Philosophy of Religion, and Ecology at the Rio de Janeiro State University, Brazil. 15. ALBIOL GUZMAN Marina parlamentaria electa del Parlamento Europeo en las Elecciones al Parlamento Europeo de 2014 por la coalición de La Izquierda Plural. 16. DE MASI Fabio, Ökonom und Politiker (Die Linke). Bei der Europawahl 2014 wurde er in das Europäische Parlament gewählt. 19. Ransdorf Milislav, Member of the European Parliament for the Communist Party of Bohemia and Moravia, Czech Republic. 22. Jorge Riechmann, Jorge Riechmann, ensayista, poeta y profesor de filosofía moral (Universidad Autónoma de Madrid). Miembro del Consejo Ciudadano de Podemos en la Comunidad de Madrid. 31. Jaime Pastor, Profesor de Ciencia Política y editor de Viento Sur. 44. Joxe Iriarte “Bikila”, Miembro de la coordinadora nacional de la organizacion vasca, Alternatiba y de la coailicion Eh-Bildu. 103. Attac Castilla y Leon . España. 116. Rosa Moussaoui, grand reporter à L’Humanité, France. 122. Prabhat Patnaik, Economist, New Delhi. 147. Dan Gallin, Global Labour Institute, Geneva, Switzerland. 178. . Dr Judith Mehta, heterodox economist, recently retired from the University of East Anglia, Norwich, UK. 180. Héctor Arrese Igor, profesor Universidad de Buenos Ayres, Argentina. 181. Ciriza Alejandra, Dra. en Filosofía por la UNCuyo. Investigadora Independiente del CONICET, INCIHUSA CCT Mendoza. Directora del Instituto de Estudios de Género (IDEGE) de la Universidad Nacional de Cuyo, Mendoza, Argentina. 236. Sebastian Franco (Alter Summit wants to sign the Call for the Commission on debt audit). 256. Michel Cahen, senior researcher, CNRS/Sciences Po Bordeaux, France. 265. Luis Dominguez Rodriguez. , Presidente de Attac Castilla y Leon. 282. amal Juma, coordinator of the Stop the Wall Campaign. 290. Marcos Del Roio, prof. de Ciências Políticas UNESP, Brasil. 297. Massimo Torreli, Responsabile “L’Altra Europa con Tsipras”. 301. Thomas Harrison, Co-Director, Campaign for Peace and Democracy, New York City, USA.